Since the beginning of the phenomenon, the biggest problem with the Harry Potter series has been that its target audience is children. That meant adult fans had to compete with the little monsters to get copies of the books the night of their release, to snag the best seats in the theater when the books became films, and to stake out a place in line for the Flight Of The Hippogriff ride at Universal Orlando’s Wizarding World Of Harry Potter. Thus, many adults have asked, “Isn’t there some way I can just get plastered at Hogwarts and not have to worry about any ankle biters hearing my musings on Professor Sprout’s rack?” And, finally, Warner Bros. Studio Tour London has sent an owl promising just that. Digital Spy reports that a London-based studio tour will open the doors to the Great Hall on December 3—and, most importantly, that no one below the age of 18 is welcome. 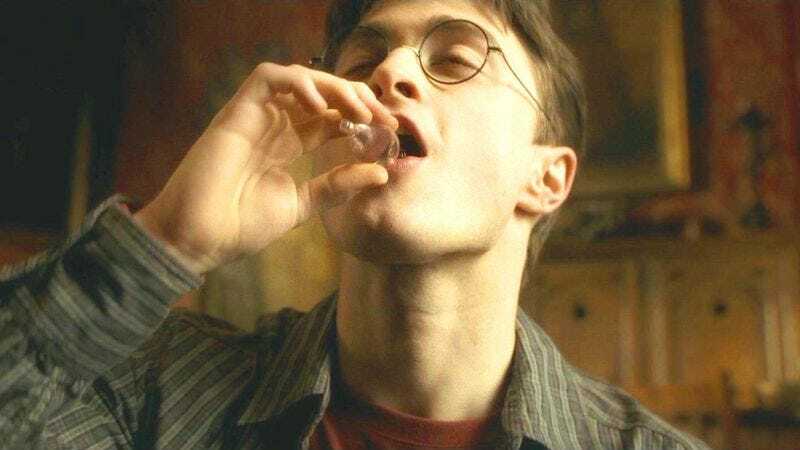 This “first ever festive feast” for adult Harry Potter fans will include a two-course dinner, accompanied by Butterbeer and other drinks, in a venue expertly dressed using real props from the Potter films. After dinner, attendees can explore the set, where they will find dessert, dancing, and more drinks on Platform 9 3/4. The best part of the experience is definitely the wand gifted to every guest. “You know, the wand choo…chooses the wizard,” drunk 40-year-olds will say, before casting spells at their friends and then wondering where they left their purse. The only sobering detail here is the cost of £230 (about $348) for entrance. Sure, that’s almost as much as a plane ticket to London for some people, but isn’t it worth it to flaunt your inner geek and get that geek sloshed while taking selfies near the Hogwarts Express, all far from the strangely discriminating eyes of children? So don’t feel bad—even Harry himself had to grow up eventually.